A preliminary report on industrial hemp trials in South Australia’s Riverland and South East regions has indicated success, with a number of varieties showing potential. 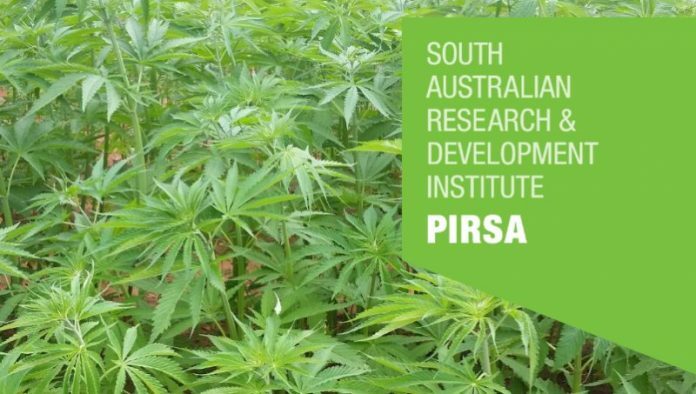 The trials, overseen by the South Australian Research and Development Institute (SARDI), involved five different varieties. The report indicates conditions required in South Australia include planting in free-draining soil, the use of good quality irrigation water and achieving high plant densities of more than 50 plants/m2 for leafier varieties and even higher with less leafy strains. With regard to irrigation, at one of the sites plants suffered from salt burn due to the high salinity of the irrigation water (2,000 ppm / 3600 EC units) during low rainfall periods. However, a variety called Han-NE appeared more tolerant of salt than other varieties. When it comes to rain and hemp, there can also be too much of a good thing – an intense rainfall event of 23 mm a few weeks after sowing at the same site resulted in runoff accumulating in one of the trial plots and significant plant death. SA Minister for Primary Industries and Regional Development Tim Whetstone was encouraged by the initial results. Minister Whetstone has previously stated SA’s fledgling hemp industry could grow into one with a farm gate value of up to $3 million in five years. A final report is to be published when all grain quality data, and fibre/hurd yield and quality data, is finalised. The SA Industrial Hemp Trials 2017/18 Preliminary Report can be viewed here (PDF). A second round of trials is currently being carried out at Loxton and Maaoupe. Results from the current and previous trials will help growers in making better informed decisions concerning different industrial hemp varieties. To date, ten industrial hemp cultivation and two processing licences have been issued in the state. South Australia was the last jurisdiction in Australia to lift a ban on cultivating industrial hemp, which occurred in April last year.